This illustration from Harper's Weekly depicts the funeral procession of Abraham Lincoln in an issue published on May 13, 1865. 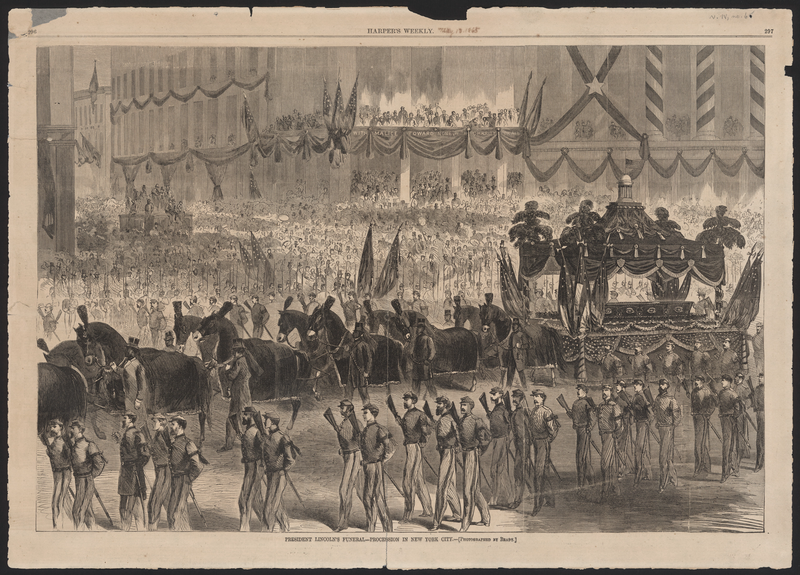 Guided by Union Soldiers on all sides, Lincoln's body is processed through the crowded streets of New York City as onlookers gather to see their beloved President. In the center of the illustration, a balcony is adorned with a banner that reads "WITH MALICE TOWARD NONE, WITH CHARITY FOR ALL," referring to Lincoln's Second Inaugural Address on March 4, 1865.